Spacecraft - Voyager 2 - Jupiter, Saturn, Uranus and Neptune. The single most important probe ever to be launched by any nation. Sure, you can talk about visiting the Moon or being the first man in space, but this thing tops them all. 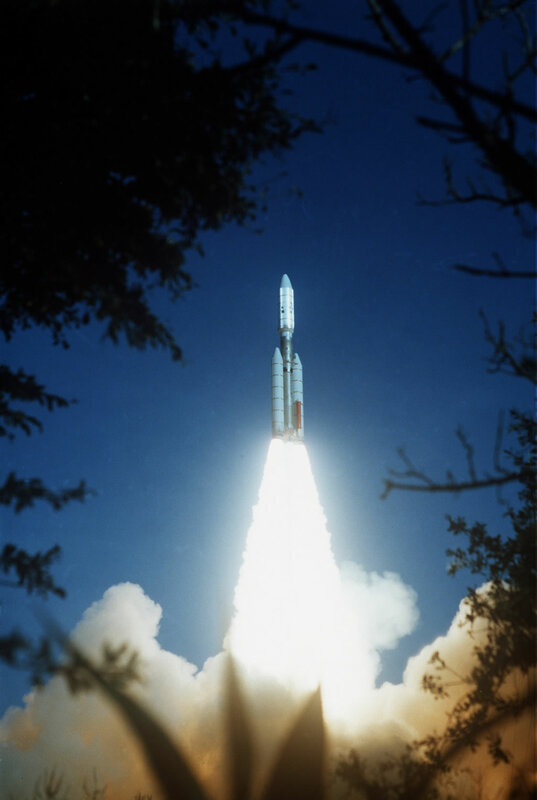 Besides helping to discovering rings and three new moons around Jupiter as well as the asmospheric density of Saturn, it was the first probe to visit Uranus & Neptune. It has now passed the Termination Shock and is buzzing through the Heliosheath as we speak. 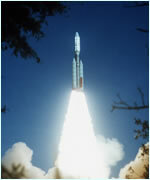 Voyager 2 was launched August 20, 1977 atop a Titan IIIE/Centaur rocket. The Titan IIIE portion was the bottom stage and two side rockets. Centaur is the upper stage of the rocket that uses liquid propellants and was used to propel the probe out of orbit. During and a little after the launch Voyager 2 experienced a few major errors that terrified ground crews, but were fixed by the launch vehicle and onboard computers (whew). The closest approach to Jupiter occurred on July 9, 1979 where it came within 350,000 miles of the planet's clouds. The closest approach to Saturn occurred on August 26, 1981 where it came within 96,600 miles of the planet's clouds. The closest approach to Uranus occurred on January 24, 1986 where it came within 50,600 miles of the planet's clouds. The closest approach to Neptune occurred on August 25, 1989 where it came within 17,600 miles of the planet's clouds. It's not there yet, but it's close.